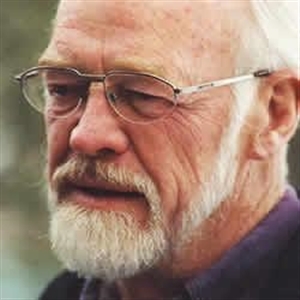 Eugene Peterson is one of the best known theologians of our time. Most famous for penning The Message, a contemporary rendering of the Bible, he is also author of many popular books such as A Long Obedience in the Same Direction. With the release of his memoir, The Pastor, Peterson has begun reflecting on life and the ways in which Jesus-followers can respond to God’s call. Here, we discuss his unlikely call to ministry, the work of a pastor and what, if anything, he wishes he could change about The Message. JM: In The Pastor, you describe your journey into ministry. How did you first sense God calling you into service? EP: Well, I never really thought I’d be a pastor because I had so many pastors I didn’t respect. I just assumed I would be in academic work, so I started doing that—I went to seminary and graduate school to be a professor. And then I became a professor at the seminary in New York City where I graduated. But they didn’t pay me very much. Greek and Hebrew professors aren’t very high on the pay scale. So I got a part-time job in a church, because I had been ordained but just to be a professor. I’d never been around a pastor who was a man of God, to tell you the truth. Click here for Jonathan Merritt's complete interview, as well as a video of their conversation. Courtesy of Religion News Service www.religionnews.com. The opinions in this interview reflect those of the participants and do not necessarily reflect the position or the policy of the Florida Conference.